1. Ocean of Nectar, Full of Grace, engulfing the universe in Thy Splendour! 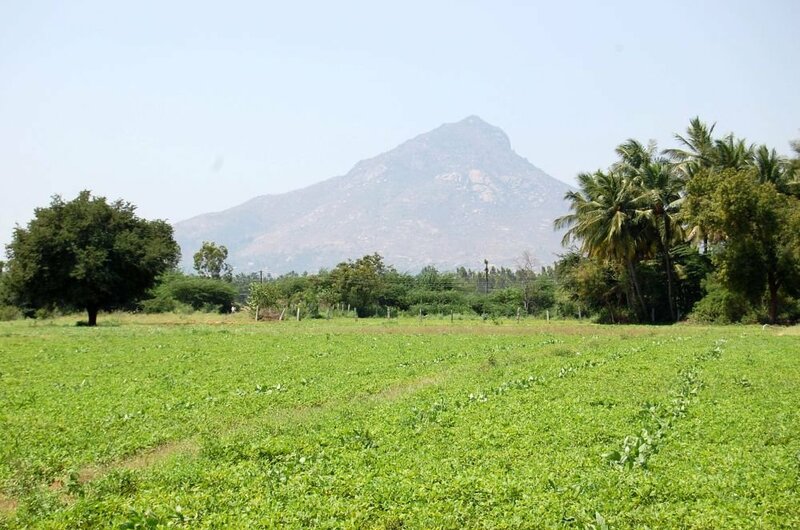 O Arunachala, the Supreme Itself! Be Thou the sun and open the lotus of my heart in Bliss! 2. O Arunachala! In Thee the picture of the universe is formed, has its stay, and is dissolved; this the sublime Truth. Thou art the Inner Self, who dancest in the Heart as ‘I’. ‘Heart’ is Thy name, O Lord! 3. He who turns inward with untroubled mind to search where the consciousness of ‘I’ arises, realizes the Self, and dissolves in Thee O Arunachala! Like a river when it joins the ocean. 4. Abandoning the outer world, the mind and breath controlled, to meditate on Thee within, the Yogi sees Thy Light, O Arunachala! And finds his delight in Thee. 5. He who dedicates his mind to Thee, and seeing Thee, always beholds the universe as Thy figure, he who at all times glorifies Thee and loves Thee as none other than the Self, he is the master without rival, being, one with Thee, O Arunachala! And Lost in Thy Bliss.